is a Brooklyn-born director and producer with nearly twenty years of experience working in commercial production, television and film. Through the years, he’s been the production manager for Santiago Inc. and worked as a film runner for Spike Lee at Forty Acres & A Mule, where he was also trained as a 1st A.D. by Spike’s longtime A.D. “Big” Mike Ellis. 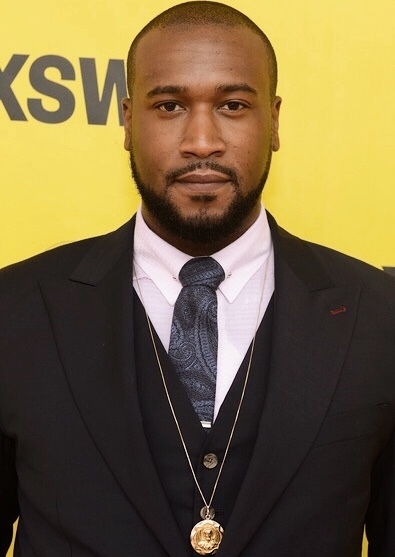 His producer credits include work on the narrative feature Know How (2011), CNN and Mass Appeal’s feature-length documentary on hip-hop fashion, Fresh Dressed (Sundance Selection, 2015) and Nas Live From the Kennedy Center: Classical Hip-Hop (2018), which was the first hip hop selection released as part of PBS’s critically-acclaimed Great Performances series. He’s an award-winning commercial director, with a list of clients that includes Google, Instagram, Under Armour, Gillette and Nike. He directed season three of VH-1’s primetime reality show, Love & Hip Hop NY (11 episodes) in year 2013. Most recently, Clarke directed three of the eight installments in Netflix’s new original hip hop docuseries, Rapture (SXSW Selection, 2018), working with artists T.I., G-Eazy and A Boogie Wit da Hoodie. His next feature-length documentary, The WIZRD, following Atlanta superstar Future, is slated for an early 2019 release. Today, Marcus lives in Brooklyn, where he plots his next scuba-diving trip when he’s not plotting his next film. Clarke holds a Bachelor of Arts degree in Film & Media Studies x Sociology and is an alumnus of Middlebury College.